Approximate locations of the three incidents. 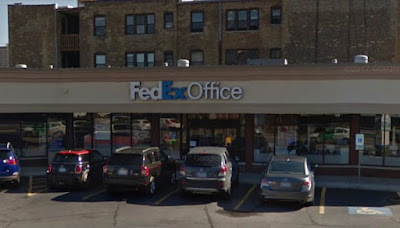 An armed robbery crew pulled off one hold-up and two carjackings in about two hours Wednesday night in Lakeview and North Center, police said. No one is in custody. Police said a 50-year-old man was walking on the sidewalk in the 2900 block of North Paulina around 9:50 p.m. when five men exited a Lexus SUV and one of the offenders pointed a gun at his chest. The crew announced a robbery, took the man’s phone and wallet, then fled in the vehicle. The robbers’ silver or gray Lexus is a 2012 model bearing license plate H446658. It was reported stolen in the Austin neighborhood on September 12th, according to police records. About 15 minutes later, a 40-year-old man was sitting in a parked car in the 3600 block of North Greenview when three men stepped out of a Lexus SUV and announced a robbery while implying that they had a weapon, police said. The robbers took the man’s wallet and phone, then drove away with his car. The tan 2013 Kia Optima with a license plate beginning with “AK322” was last seen heading east on Waveland followed by the Lexus. Finally, just before midnight, a man walked into Area North Police Headquarters at Belmont and Western to report that he had just been carjacked nearby. The man told police that he was sitting in a BMW X5-M on Waveland just east of Western around 11:45 p.m. when three men forced him from the car at gunpoint. The robbers were last seen driving southbound on Western. Also lost to the crew were the man’s backpack, phone, bike, and camera, according to a report. All of the offenders were described as black males in their late teens or early 20’s who were wearing dark or gray hoodies and jeans. 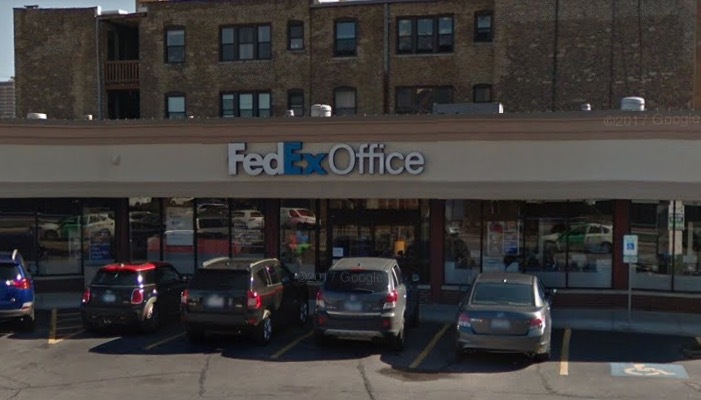 The southeast Lakeview FedEx Office branch was robbed early Thursday by a man who claimed that he was armed with a handgun. A store clerk told police that the man approached the counter around 12:20 a.m. and demanded money. He received about $100 then fled southbound from the store at 3001 North Clark Street, according to the employee. The offender is described as a white male, about 30-years-old, 5’8” tall, 140 pounds, with short blond hair. He was wearing a rainbow tie-dyed shirt and jeans. Facts first. 100% community-funded. No influencers. Please support CWBChicago today.